The end of Winter is truly killing my skin, it’s dull and lifeless and just generally not looking that great. I even have a significant amount of acne, something I haven’t had in YEARS (if ever!). 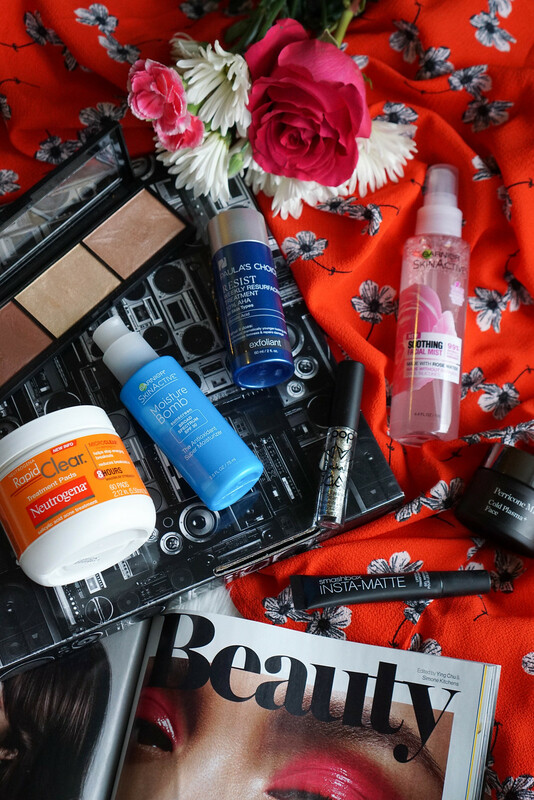 I don’t know if my skin is rejecting my old routine or what but I decided to switch up most of my beauty products to see if that would make a difference. 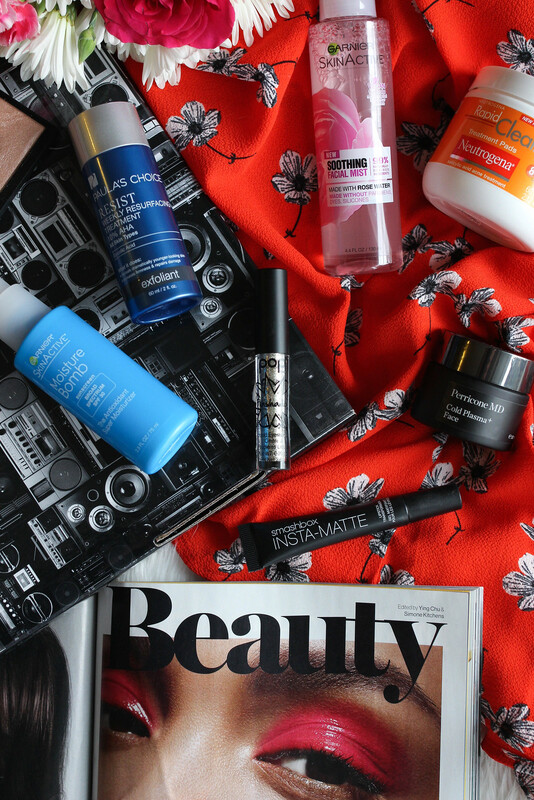 Today I’m sharing the 8 that I stuck with all month and the beauty products you should try! Also I’m doing a really fun (super easy to enter) giveaway on my Instagram tonight! 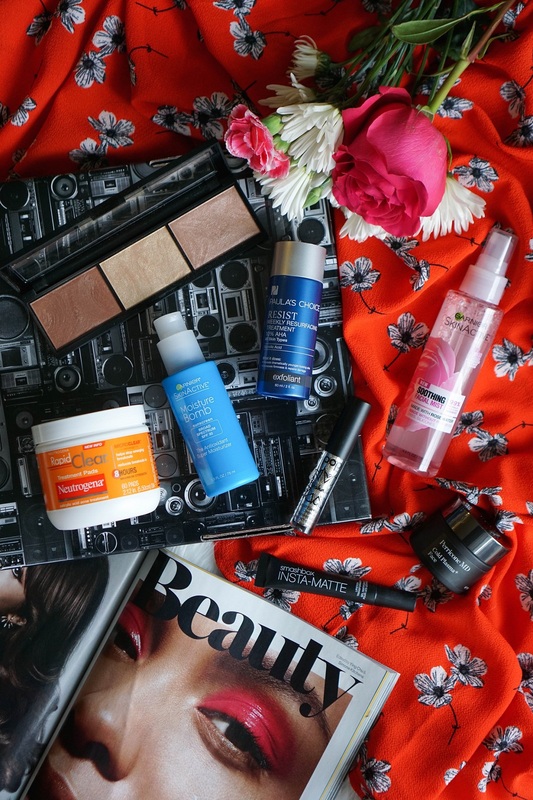 So head over and look for the photo of the 8 beauty products you should try this month and get all the details! The photo should go live around 9 pm tonight…Good Luck!! Smashbox Insta-Matte Lipstick Transformer $24 c/o – So you’ve seen mention this before in my 5 Lipstick Trends You Have to Try this Winter and since introducing it to you guys I haven’t stopped using it. I absolutely love the look of bright red and hot pink matte lipstick looks and there’s no reason to buy new matte shades when you can take your favorite lipsticks you already have and turn them matte. What I love the most about this transformer is that it doesn’t leave your lips dry like most over matte lipsticks, it’s actually super silky and velvety and very comfortable on your lips! Stellar Face Sculptor Contour and Highlight Palette $37 c/o – I was looking to up my bronzer game and saw this in a gift bag I received over NYFW so I figured I would give it a try and I was not disappointed. These are the silkiest powders I’ve ever used before. 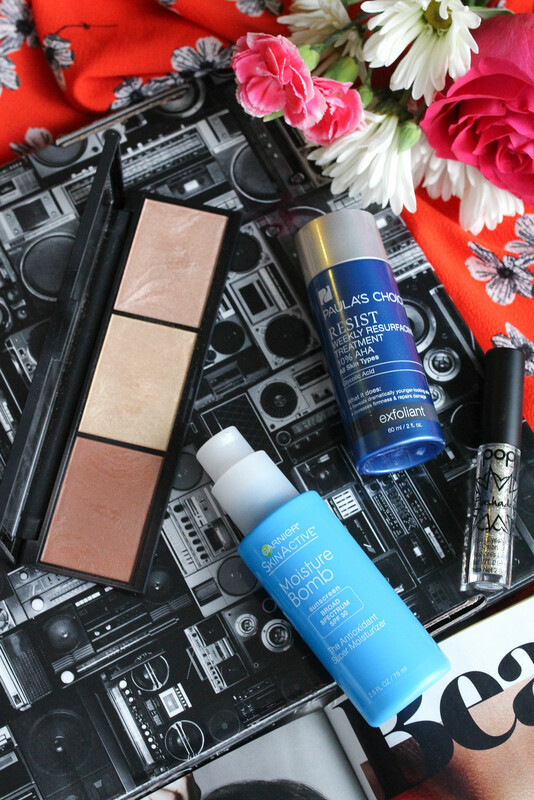 The bronzer is pretty potent but it blends really great and the highlighters are to die for! This line doesn’t have too many products yet so I’m excited to see where they take the brand! Paula’s Choice RESIST Weekly Resurfacing Treatment with 10% AHA $36 c/o – My skin has been looking extra dull lately and my daily exfoliating just wasn’t cutting it to brighten my skin. I swapped my regular exfoliator for this leave-on exfoliant one a week and I’m starting to see an improvement. It has age fighting antioxidants that improve skin’s texture and reveal vibrant, radiant skin. It works just like any other exfoliator to gently remove dead skin cells, but instead of scrubbing your face with it you simply apply it right to your face and leave it on overnight. POP Beauty Flashadow $12 c/o – I’m all about having fun with my beauty looks and POP Beauty’s new Flashadows are the definition of FUN! These liquid glitter eyeshadows are super sparkly and literally don’t budge once you put them on! I even used them at a dance competition over the weekend on the girls’ faces and they were a huge hit! If you’re looking to add a little sparkle to your look then these are definitely for you! Definitely one of the best liquid eyeshadows I’ve ever used. 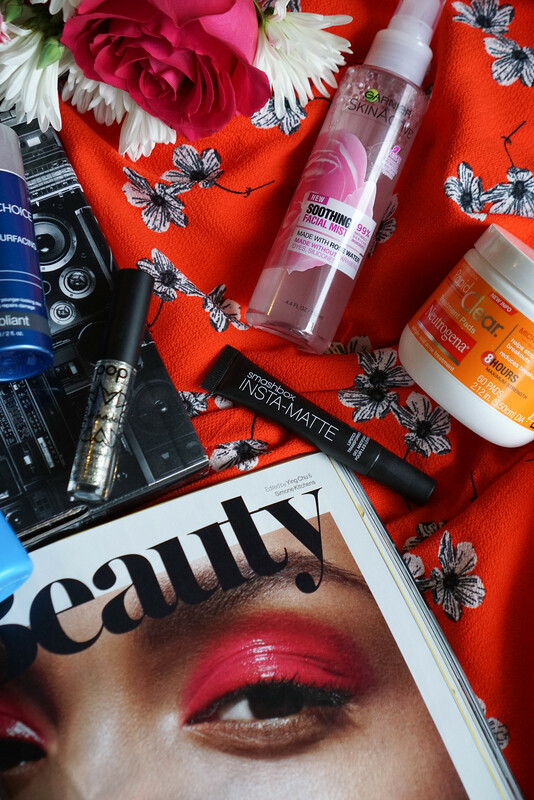 Check out past posts about beauty products you should try here, here & here! I have been having the same problems. Mouth and it’s more acne then I’ve had in years, so I definitely have to check out those pads! I also love the idea of the mattte lipstick transformer. And I also need to follow you up with the results of that cream because my forehead is getting wrinkles and I am scared girl! Can’t wait for an update!